Brand guardianship manages the use of your brand so it stays visually consistent wherever it appears, whether on the web or in print. Your brand is your company’s most valuable asset. It represents the core values at the heart of your business. Your customers – and staff – buy into these values, which nurture feelings of loyalty and pride. A well-designed and consistent brand identity expresses your values, forges an emotional connection with your staff and customers, and enhances your credibility. People buy most from brands they trust. In an age of multi-channel marketing, where complexities abound, the challenge for businesses is to ensure that their brand retains its identity across websites, print collateral, advertisements, and social media. How can brand identity be eroded? The visual identity of your brand – including the logo, images, colour scheme, and typography – needs to be instantly recognised by your audience wherever it appears. All the elements of your visual style should be unified in conveying the personality of your brand. Inconsistencies in presentation can erode trust in what you stand for, undermine the authenticity of your communications, and distract from the core message you want to get across. Examples of inconsistencies include distorted logos, variations from the colour palette, and using the wrong fonts. The tone and style that characterises your brand – that “speaks” for it – needs a single voice. Distortions in this voice can result when your content is created by people with different or even conflicting styles, and opportunities to rise above the “noise” and resonate with your customers are missed. Maintaining a single clear voice for your brand across all channels strengthens your reputation and reinforces the value of your products or services in the minds of your customers and staff. Without a universal guideline covering how your brand identity will be used, in-house teams and brand advocates can deliver messages that aren’t consistent with your values. 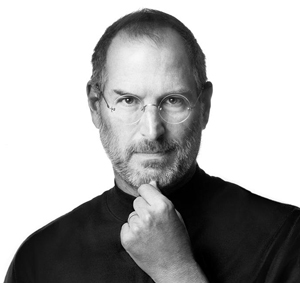 Where this involves important customer touchpoints, the effect on your reputation can be significant. A significant proportion of consumers who had a negative brand experience said they would never read that brand’s content again, so the margin for error is narrow. You’ve forked out a fair amount of money to get your brand strategy sorted. You’ve got your design files including your logo back from the graphic designer, so what do you do now? Do you have the skills to make the right decisions when applying your artwork across multiple platforms? Because how the brand is applied is probably even more important than developing it in the first place. This is where costly mistakes can be made that undermine your efforts to build your brand. Effective brand guardianship solves this problem. It involves the creation of a brand guideline to determine the visual identity of your brand in all situations. With such guidance, everyone in your company will have access to an outline for presenting your customers with a consistent experience. Consistency is a hallmark of quality, and people recognise and are attracted to brands that deliver consistent, high-quality communications. Brand guidelines align the qualities of the original artwork with the requirements, opportunities, and limitations presented by the multitude of digital platforms available to marketers. A guideline ensures visual connections are maintained between all your marketing materials, whether they are applied to printed stationery or a digital logo on Instagram. The framework governing visual brand identity provided by a guideline will give your employees the confidence to make brand decisions, knowing that if they stick to the rules it will be likely that they are being consistent in applying the brand. Guidelines are not meant to stifle creativity, though; it’s the combination of discipline and imagination that maintains the health of your brand, whether you’re designing and printing collateral or launching a new product at an industry event or responding to a customer enquiry. While a clear brand identity leads to loyal, engaged customers, consistently applying your brand elements also saves time and money. With a myriad of channels to communicate through, having rules around your visual identity and brand means you’re not starting from scratch each time you want to plan a campaign. TIP: Delegate someone in your company to be the brand guardian or brand manager. They would check any artwork or communications using visual elements against the brand guideline, and list anything that’s off-brand, for correction. Picking up even small errors at this stage can make all the difference in protecting the integrity of your brand. What do effective brand guidelines really look like? 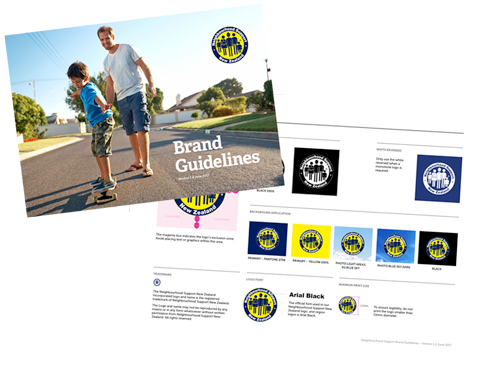 An effective brand guideline, such as the resource we produced for our client Neighbourhood NZ, addresses how the various design elements will be used while staying true to the core principles of the brand. Logo – where and how to use your logo, including sizes, colour, spacing, as well as what can’t be done with it. Colours – accurate primary and secondary colour palettes with colour breakdowns for print, screen and web. Typography – the specific fonts to use (specified for headings, sub-headings, body copy, etc) and details of the font family and default fonts for the web. Image style/photography – examples of image and icon styles and photographs that work with the brand. Business card and letterhead design – examples of how the logo and font are used for company collateral. In addition to putting in place rules for the use of elements of visual style, the brand guideline can also cover how the brand communicates (it’s “voice”) – the positioning statement, the language used, and the key messages to address in written communications. The long-term benefits of implementing a set of rules to govern the way your brand is presented to consumers increasingly intolerant of inconsistencies are too significant to ignore. For help to create your brand guideline, we’re the experts. Visit our design studio to find out more.